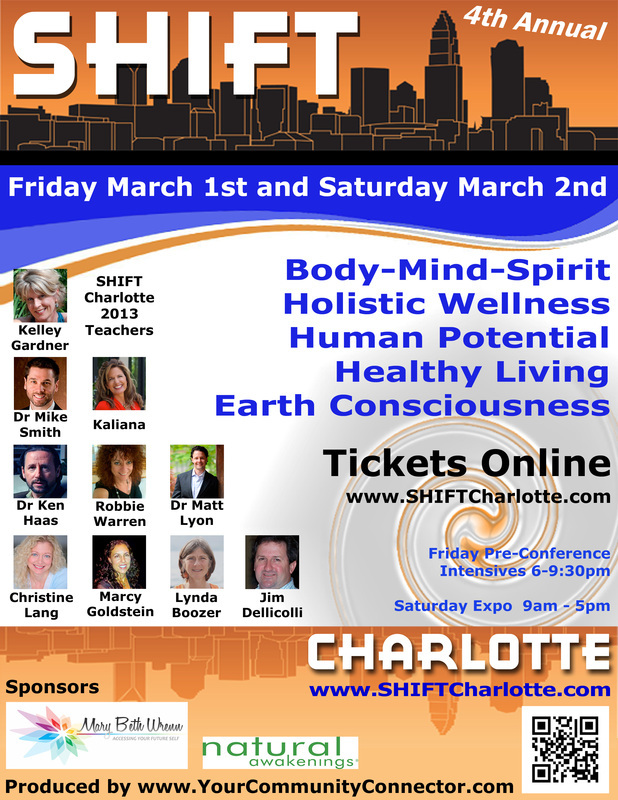 I invite you to join me at SHIFT CHARLOTTE 2013! Mary Magdalene and the Return of the Divine Feminine as well as enter a drawing to win my newly released "Awaken Your Divine Essence" CD and workbook! SHIFT Charlotte is the largest local event dedicated solely to health, well-being and a more natural and empowered way of living for us all. Now in its fourth year, Shift Charlotte 2013 promises inspirational days of learning, sharing and community. There is no other holistic, alternative, or integrative event like it in Charlotte. 10 local teachers, 7 hours of workshops, 50 local vendors, 11 hours of conference; 10 local readers and service practitioners, and a chance to feel the strength of our local community as we grow together. Connecting our Community to co-create a more empowered way of living!